Posting on Facebook or Twitter once a month while having your annual blog post is great… if you’re looking to maintain your audience of loyal friends and your employees. People use social media to have conversations. They want to engage others as well as be engaged. They want to learn from authoritative people and get access to information they would never have had access to while offline. Your monthly blog post just doesn’t give this to them. You probably don’t even go through the comments made after you write down your 5 paragraphs. Wow. When you stick to these methods, you will end up drastically reducing your chances of prospects finding you. You are going to have to apply the same listening skills you apply in face to face conversations on the online web. How do you listen online? By giving others time to speak. Who are the ‘others’? Lost fans need not get carried away with this one. The others are clients, consumers, industry experts, etc. Never rush to make comments without reading status updates or tweet carefully. Ask questions not to show your intellect, but to feed your curiosity. Want to lose followers at lightning speeds? Just try making a sale with every tweet or status update you post. Everyone wants their social marketing strategies to give them high ROI so they make the critical mistake of always concentrating on profiting. 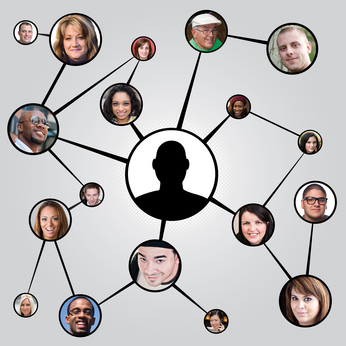 Social media marketing is about forming relationships with consumers. You need to get to know them. They don’t want you to constantly remind them about the new products you have on sale. This is one of the quickest ways to lose your online following. If your social marketing revolves around how great you are, how much experience you have, how privileged others would be to work with you, etc. you are missing the whole point of social media. Be a giver, not a taker. People are looking for interesting stuff to read. If you give them this, you are creating a group of loyal consumers one person at a time. You would think it counterintuitive to leave negative comments on your blog for everyone to see. After all, you don’t want your consumers finding out about a flaw in your product, right? Wrong. Negative comments present you with a unique opportunity to transform an unsatisfied consumer into a satisfied one… in public! This will give you a chance to look good in front of your other consumers- a re-assurance they needed that they did indeed make the right choice by investing in you. These are just some of the most critical mistakes businesses make when going about their social media marketing. Learn from others’ mistakes and don’t let this be you. There is nothing as important as securing a strong online presence. Your reputation online is everything. 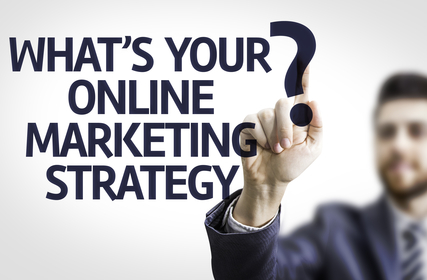 So managing your business’s online reputation can often be strategic nightmare. Balancing a multitude of facets in order to promote your organisation can often be an uphill struggle as it requires a mixture of specialised skills and tech savvy employees who are able to find negative brand associations and actively convert them into positive ones. Software makes life easier. It enables tasks to become automated and allows you to actively search the far reaches of the internet for any mentions of your organisation. Software simply allows you to monitor when and where your mentioned and enables you to facilitate both positive and negative engagement. Make a list of all types of positive and negative opinions which may occur. Consider these opinions and create plan on how to counter the negative ones and promote the positive ones. Think about how you can handle a problem and increase interest in good promotion. Consider how to reply to both forms and set guidelines on how employees can engage with such comments. Introducing a social media policy within your organisation allows you to counter any disgruntled employees opinions about your company online. It may be an experience with a customer or another employee but social media opinions can cause unneeded storms. By using such a policy your business can counter any internal problems easily. When the phrase ‘Online Reputation Management’ is raised in conversation, a common misconception is brought to light. Some believe it’s an additional act attracted to social media marketing (SSM) practices or even something as broad as a public relations thing. In reality it’s encompasses both, However it substantially moves beyond this simple scope often at an unprecedented rate. In the current business environment the Internet has forged; a sole trader is often found to be on a level playing field with their multi-million pound counterparts. However, it is often the case that little or no attention is drawn to their online reputation. Often organisations completely overlook an integral part of brand royalty or simply have no idea how much it can impact their business and sales. When considering the value of a brand’s perception within the eye’s of its consumer, the impact the internet has on such a perception is often astonishing. Simply the need for maintaining a good perception is something companies of all sizes can benefit. In a nutshell online reputation management is simply about influencing and controlling the perception of a business or individual online. Looking to increase interest and counter negative perceptions through a mixture of online marketing methods including SEO, PPC, Email Marketing, Content Marketing and more. So why is it important? well. In a short passage of time, the internet has shifted position from being a valued reserve of information to a essential life resource. A tool often used in passive nature has now become predominately about engagement. In the past companies invested little or no time engaging directly with their audience through this medium. Often acting in a passive manner they would frequently miss the opportunity to actively express their voice to a highly engaged audience. Simply the communication landscape was autonomous and approached the audience with a top down approach. Thankfully the entire situation has changed. We now find ourselves in a realm where businesses are actively engaging with their audience. With more regular interactions on social networks and company blogs, the audience is now able to communicate their opinions directly with the organisations. Within the modern business environment engagement is undoubtedly a key principle to the success of any organisation. With the size of a company having little bearing on the opportunities for new prospects, clients, customers, etc… actively taking about you. Whether they write a tweet about you or a Facebook post or write an engaging comment on your blog. The audience can create a feel good buzz around you. However, such material can fall either side of the fence. It can often be uplifting and a great promotional tool, but it can unfortunately also follow the dark and unsavory path in which comments can create a negative perception. In which a member of your audience can actively damage your online reputation through their interactions with you or about you. If you think this is something you can forget about or even pretend it doesn’t occur. Then I would highly recommend you wake up and drink some strong coffee! Your audience is actively influencing your brand’s reputation online at a second by second rate. You cannot simply ignore people’s opinions or reviews on your products and services. To do such a thing is simply enabling your competition to chip away at your companies tombstone. It may take months or even years, but your reputation is the most important influence on the success of your business. In closing a bad reputation online can hold dire consequences for your business. There is growing need to counter such negativity in order to increase your brand’s reputation within the minds of the consumer. If you choose to simply ignore it, It won’t suddenly vanish from existence. When an item is published online it is often represents a stain that doesn’t wash off or disappear. The active management of your reputation online is essential to counter negative opinions and will enable you to provide a better service to your dishearten customers if actively incorporated into your marketing plan.